Nancy Pelosi and her delegation of fellow career parasites who thought they were headed to Afghanistan for a fake lovefest with US troops were hilariously stopped dead in their tracks before even getting to the airport. The hapless Democrat clowns were at the center of a hilarious scene as the Air Force bus they were aboard drove around and around the Capitol, the driver apparently not knowing who to take orders from, the Plastic Matron or the Commander-in-Chief via his chain of command, which had obviously instructed the driver to dump his cargo back at the Capitol as President Trump had canceled their Air Force flight to Afghanistan, where they had planned to pretend to love and support the troops that their every deed proves they detest. 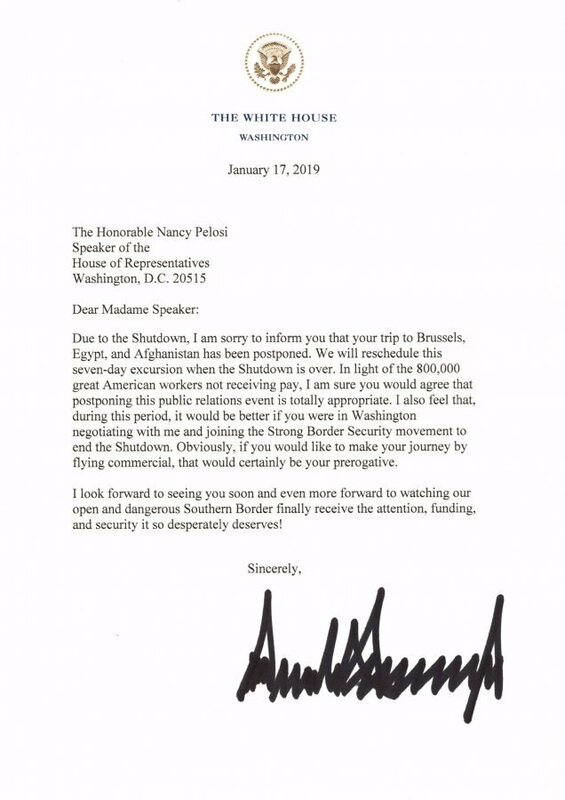 Imagine the infighting aboard the bus, Nancy Plastic shaking her fist as she curses the president, who, I’m sure, was sitting in the White House in his boxer shorts, enjoying the global TV coverage of the bus circling around and around the Capitol, the high-profile congressional passengers bickering over who must disembark the bus first to face the cameras in total humiliation. 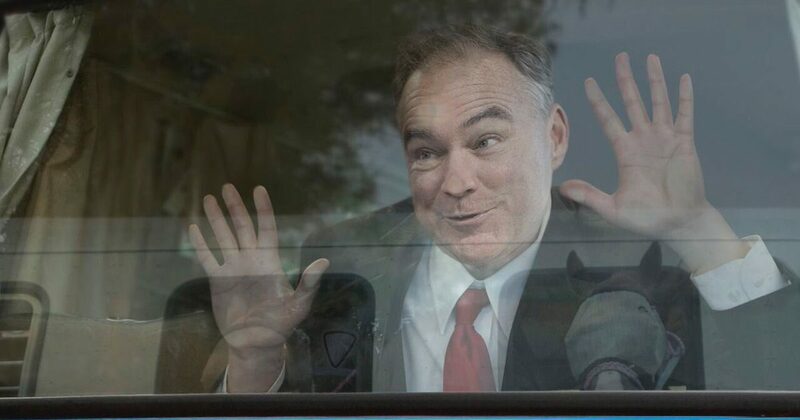 Watch the video below, as Senator Tim Kaine (that’s right, this buffoon is a US Senator), looking like he is fresh off the set of One Flew Over The Cuckoo’s Nest, shares with the press his righteous indignation over being embarrassed by the chief executive. Furthermore, Democrats despise patriots of any kind, especially those in uniform. Their shameful attempt, pretending to appreciate and respect our men and women in uniform, is transparently disingenuous. In other news, President Trump responds to a little love from his son….